Unfortunately for my waistline, the one thing I seem to know a lot about is where to eat. Whenever friends visit a new city or country and ask for advice, inadvertently the recommendations I give all center on what culinary treats they should not miss. Currently, two of my closest friends are in Rome, a city that with literally thousands of restaurants and even more kiosks to chose from, can be overwhelming in the dining department. Where does one begin to look on TripAdvisor when the restaurant recommendation they received is one of 5,232? Does being number 3,400 mean anything at that point? Add to that the millions of tourists whose taste you don’t necessarily agree with judging the restaurants there based on for what you know could be a Macaroni Grill. While talking to them on their vacation, I remembered a little gem of a place, surprisingly located in the heavily trafficked, quality food devoid neighborhood surrounding the Trevi Fountain. 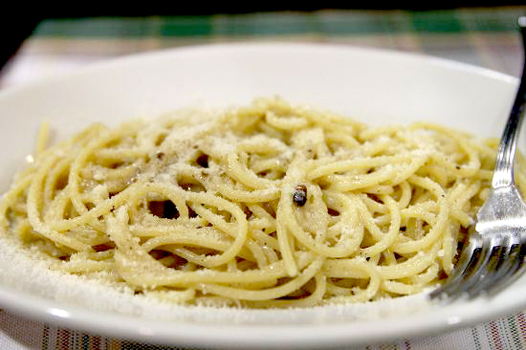 Ristorante Sora Lucia may be located in one of Rome’s largest tourist trap, but the restaurant is anything but. Whereas other restaurants in the area cater to bland travelers tastes, at Ristorante Sora Lucia there is not a “tourist menu” in site. Oddly enough, I found the restaurant through a hotel bellhop; note to self, ask the bellhops for recommendations over the concierge they often don’t have a financial stake in where you will go. I told him I wanted somewhere local, more exactly, where he would go and shortly enough my family and I were on our way to Ristorante Sora Lucia. 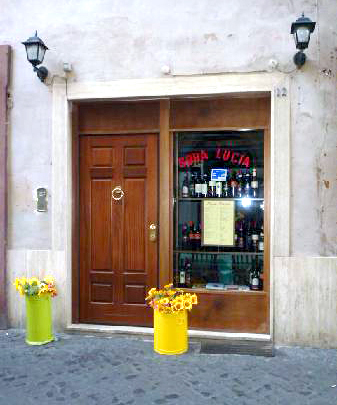 Tucked next door to one of Rome’s famed gelato stops, one would think Sora Lucia would get a hefty cut of the tourists business. Upon arriving, however, we were pleasantly surprised, my family were the only non-Italian speakers in site. Ristorante Sora Lucia is not much of a space to look at. In fact, it probably looks like what I imagine your Italian grandmother’s kitchen would look like right down to the out of date tableware and linens. Run by none other than a nonna herself, the decor seems rather fitting. The food (and obviously the most important part) fits the story as well, and tastes like good home cooking should- hearty, warming and filled with love. In a sea of bland and unappealing tourist food, Ristorante Sora Lucia is a welcome surprise and one worth the trip to Rome alone. Coming in at #168 on TripAdvisors restaurant list of 5,232 it seems I’m not the only one who thinks so. This restaurant does sound like a real find! By any chance would you happen to know Sora Lucia’s restaurant hours….more specifically, in September and on Sundays? We’d like to visit for an early dinner, but can’t find any information online.